When it comes to shoes, there is no such thing as one pair for every occasion. Women usually have at least four pairs of shoes, while men need the same number of pairs to have a complete set of shoes for different occasions. Yes, there is a pair of shoes for every occasion, especially for men. Having the shoes that you need is a huge plus. You can pull off different looks with ease and always have a pair to wear regardless of the occasion you are attending. There are some basic shoes you need to have in your collection, and we are going to discuss them in this article. Every man needs at least one dress shoe, and the best one to get is a pair of Oxford shoes. This is a more formal pair that accentuates simple lines, clean design, and a formal aura that matches your suit or dress trousers perfectly. Oxford shoes usually come in leather, but you now have more colours to choose from. If these are the first dress shoes you own, you want to go for neutral colours like black and tan. Brogue shoes are similar to Oxford shoes. They are designed for semi-formal and formal occasions, and they will work well with attire for similar occasions. You can even see similarities in shape and overall design lines. However, Brogue shoes are known as the charming brother of Oxford shoes. The decorative lines and perforations – also known as broguing, hence the name – make a pair of Brogue shoes appear more stylish without looking too much. Check out the collection of Brogues from DuneLondon.com to learn more about your options. Suede Oxfords are the kind of shoes that you wear to semi-formal occasions. In fact, they are now a type of shoe that works really well with everyday outfits; a good pair works particularly well with jeans or khakis, but you do need to choose the right colour to wear. Suede Oxfords with wingtips are even better. The style plays with colours and patterns in a bolder, more daring way, so don’t be surprised to see a brown suede Oxford being paired with bright yellow wingtips for a truly stylish look. Suede Oxfords are casual enough for most men, but you can still take it down a notch by going for loafers instead. Loafers are incredibly comfortable and are designed to be that comfortable for a reason. This is the pair of shoes you can wear when you need to look stylish and still be comfortable all day. Loafers are also very flexible. You can wear a pair to work and quickly transition to an after-office party without changing your shoes. The pair will still look great when paired with a more casual shirt – or when you lose your jacket before going out of the office – making it a must-have. Of course, you can never go wrong with boat shoes. 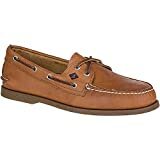 Similar to loafers, boat shoes are also casual in nature. They have simpler lines, usually with exposed stitching and more flexible materials, and you have more colours to choose from. While some boat shoes come with laces, they are purely decorative in many pairs. Boat shoes are designed as slip-ons so that they can be worn with shorts and jeans without looking out of place. In fact, you can go with short socks or simply do without when wearing boat shoes. Before you start arguing that the two are different, let me tell you why the two types of shoes are grouped together. Sneakers are more for style and comfort and trainers are the pairs you wear when you want to exercise while keeping your feet comfortable. However, the best sneakers today are just as comfortable to wear when you are going out for a run, while the trainers that are now in the stores have designs that will wow you at first glance. The two aren’t interchangeable, but that doesn’t mean you cannot settle for one or the other. There is a huge cultural movement around sneakers and trainers, so it is okay to own several pairs as well. They are purely for casual occasions and sporty activities, but there are plenty of times when owning more than one pair can be handy. You have to have at least one pair of boots in your arsenal of shoes, and the one you really need is a pair of winter boots. Winter boots are not only universal with their simple and functional design, but also very comfortable to wear in the winter; after all, they are named winter boots for a reason. That pair is the last piece of the puzzle. You don’t have to have all of the shoes we discussed in this article but owning one pair for the right occasion will still give you the best return on investment.